Demon Hunters are unique because they only allow Night Elves and Blood Elves to choose the class. This decision was made mostly from a story standpoint, but allows them to have more character customization. In addition to the standard hair, face, and skin options, they can customize tattoos, blindfold, and horn styles. They also have some unique skin choices that have great detail. Since they can only be elves, this is also the only class that has unique voice acting, all the other voices are based on race. Thier main armor and weapon types are leather and warglaives, but they can also equip cloth armor, fist weapons, daggers, one-handed swords, one-handed maces, and one-handed axes. This is the only class that has only 2 specializations, 1 DPS(Damage per Second) and 1 Tank. This allowed them to focus heavily on just those to make them feel unique and finished. Havoc, the DPS spec, revolves around using Fury to fuel their attacks. They use fel magic and powerful attacks. Vengeance, the Tank spec, revolves around using Pain to perform abilities. They use fire attacks and soul cleaving abilities to power up and heal. Both types of Demon Hunters have several unique abilities, such as Double Jump and Glide. They also have Fel Rush, which gives them great speed and mobility, and Spectral Sight. Spectral Sight allows Demon Hunters to see enemies and treasures, even through walls. They can also see stealthed characters, but attacking or taking damage cancels the effect. 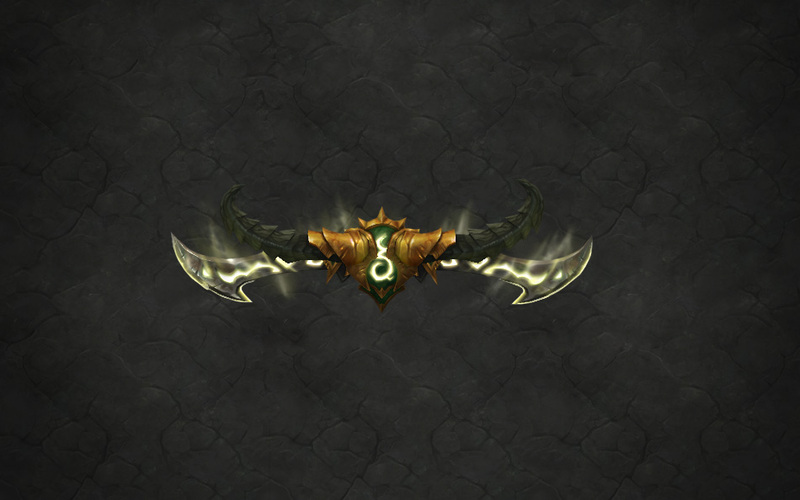 Like every other class, Demon Hunters get unique artifact weapons for Legion. Havoc gets the Twinblades of the Deceiver and Vengeance gets the Aldrachi Warblades. These warglaives once belonged to Varedis Felsoul, who was originally an enemy to the Burning Legion. After being killed at Black Temple, Kil’jaeden revived him. These warglaives were infused with great power after he surrendered to the demon. The Aldrachi were a proud race that killed many demons before Sargeras showed up. He offered them a place in the Burning Legion. They refused, Sargeras killed their leader took his weapons. They were given to another Demon Hunter much later, who became Kil’jaeden’s servant. The latest developer Q&A revealed some important info and frequently asked questions. Demon Hunters get talents later than other classes so they can have something to look forward to while they are leveling. It gives them time to get used to the class before deciding on all the talents. Demon Hunters get more of their stat pool at the beginning, and less as they level, to make them more even with other classes when just starting out. Demon Hunters have their own intro and will not play the Broken Isles intro that the other classes will for Legion. 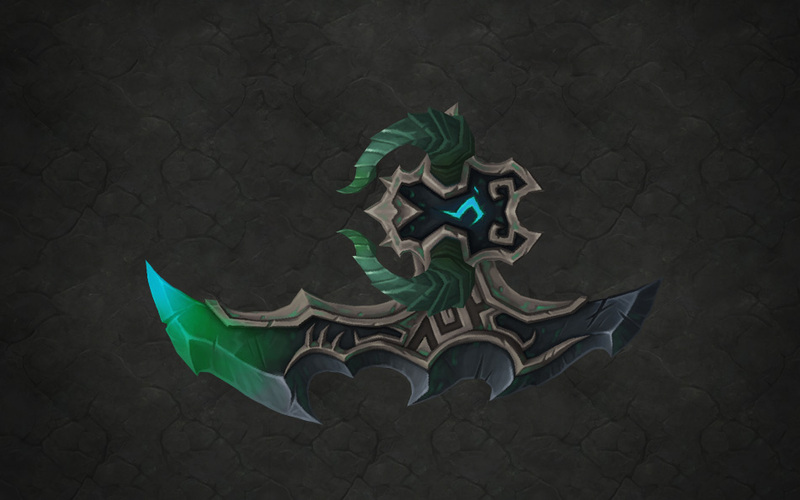 The Warglaive you can get during The Demon Invasion event in Legion’s pre-patch will be bound on account, so you can send it to your Demon Hunter whenever you make one. For those that want to show off their tattoos, the starting Demon Hunter chest gear will be revealing enough to show them off. Demon Hunter can talk cross-faction because they share the Demonic language. That’s everything we know so far about Demon Hunters. You won’t have to wait too long to find out more because Demon Hunters are launching on August 9th for those that preordered Legion, or August 30th when the Legion expansion launches!